Mini Essential Diffuser Ultrasonic Aromatherapy Cool Mist Humidifiers Just $22.99! You are here: Home / Great Deals / Amazon Deals / Mini Essential Diffuser Ultrasonic Aromatherapy Cool Mist Humidifiers Just $22.99! Check out this great Amazon deal! 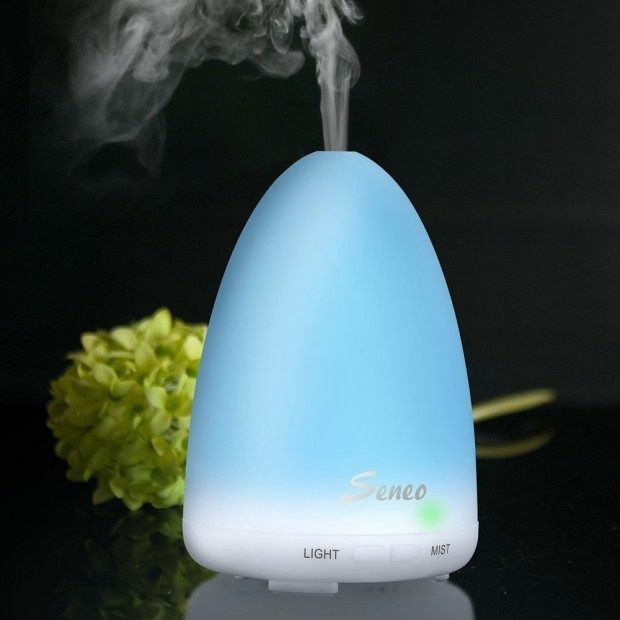 The Seneo Mini Essential Oil Diffuser Ultrasonic Aromatherapy Cool Mist Humidifiers is Just $22.99! Down from $90! Get yours now before this great price is gone! Lightweight & Exquisite: Bullet shape and Mini humidifier, easy to carry and low energy consumption. Whisper-Quiet Ultrasonic Operation: Ultrasonic whisper-quiet, relieves depress and have a better sleep at night. AUTO Shut-off Function: Once the water runs out, it will be auto shut-off to protect the device for safety insurance and energy-saving. Aroma Humidifier Function : The humidifier function adds moisture to the air to help you sleep better, cough less and alleviate dry sinuses. 7 Changing LED Light: Features include 7 color changing lamps make your room romantic.